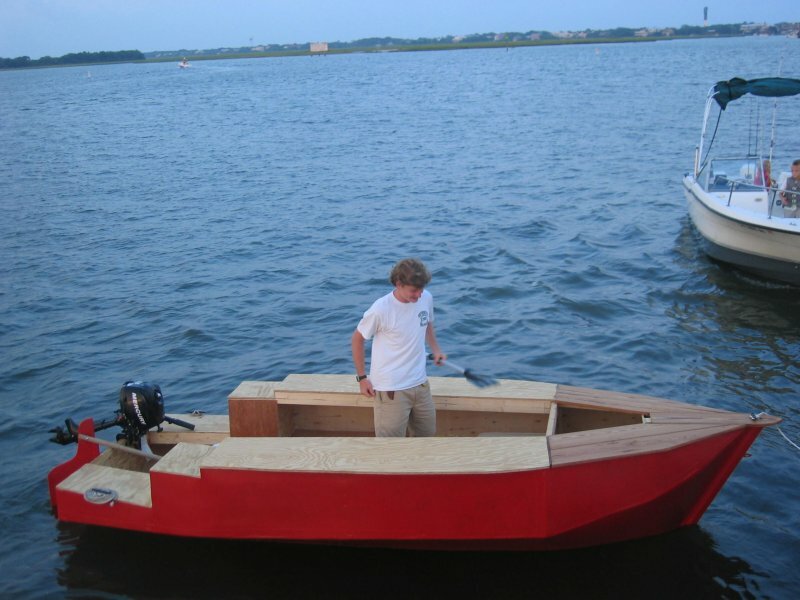 David Russell, David Russell, Jr., and James Brownlee built this modified 16′ Catfish Beachcruiser over the summer of 2007, and launched her in August 2007 in Sullivan’s Island, South Carolina. The design is by Phil Bolger. 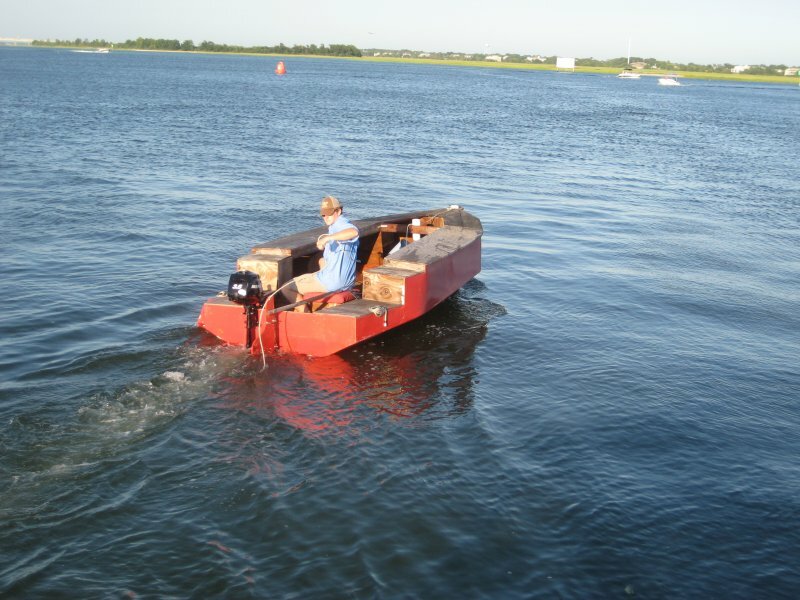 During a storm in the summer 2011, the rudder broke and drove the boat onto a sandbar. They made the necessary repairs and relaunched her in May 2011. RRB RED carries and 3.5 hp motor. James Brownlee, David Russell, and David Russell, Jr.